CAPE TOWN, South Africa — Plain packaging is considered unattractive among marketers, loss-making for industries, and a healthy life promoter for governments and the public. The potent mix to balance profits, safeguard jobs and cut illnesses has made it a controversial solution to curb smoking. As it grows in popularity around the world, how is plain packaging faring in Africa? Governments worldwide are increasingly embracing plain packaging as a tool in the fight against tobacco use, despite pressure from the tobacco industry. As the World Health Organization marks ‘World No Tobacco Day’ to highlight the health risks associated with tobacco use on 31 May, this year’s theme is ‘Get Ready for Plain Packaging.’ But at the backdrop of this global push for plain tobacco packaging no African country has done so yet. The WHO developed the treaty Framework Convention on Tobacco Control (FCTC) in 2003 responding to the globalisation of the tobacco epidemic, which is facilitated through trade liberalisation, foreign direct investment, global marketing, transnational tobacco advertising, promotion and sponsorship, and the international movement of counterfeit cigarettes. “Plain packaging reduces the attractiveness of tobacco products, restricts use of tobacco packaging as a form of tobacco advertising and promotion, limits misleading packaging and labelling, and increases the effectiveness of health warnings,” the WHO says. Put simply, plain, or standardised, packaging removes from tobacco packages all logos and other branding, including colours, other than the brand name. “There is not an ‘African’ response to plain packaging,” Marty Logan, communications manager of Framework Convention Alliance, an umbrella group of civil society organisations, based in Geneva, told Intellectual Property Watch. There are 44 African countries party to the FCTC which obligates them to protect the health of all people by reducing the supply of and demand for tobacco products. “They support tobacco control measures, including measures dealing with packaging (Article 11 of the FCTC),” Logan said. He said there is a range of ‘readiness’ across the continent to adopt plain packaging with countries like South Africa saying that they are considering plain packaging while other countries have still not implemented pictorial warnings on tobacco packages, which could be seen as a precursor to adopting plain packaging. 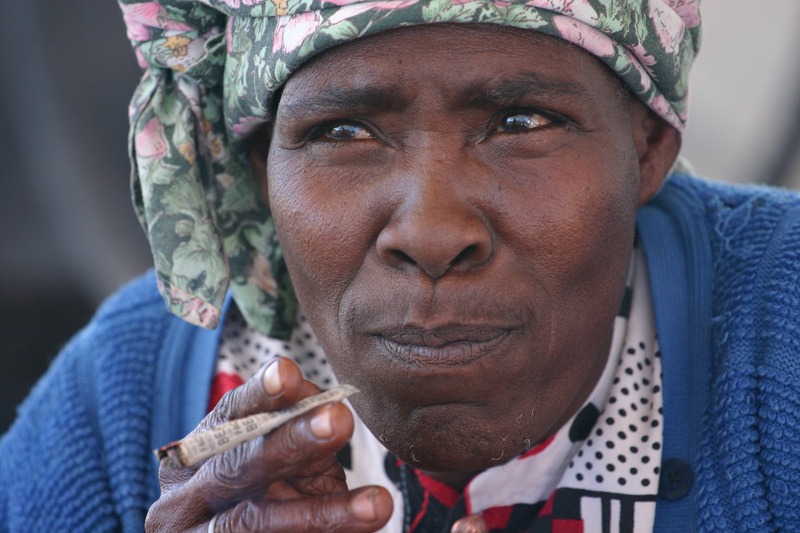 In at least two African countries debates on plain tobacco packaging have been globally heard. South Africa’s health minister, Aaron Motsoaledi, has made a number of public statements both on local and international platforms indicating that he intends to introduce plain packaging for tobacco, but no legislation has yet been published. Motsoaledi has said there was going to be a fight from the tobacco industry, but he was prepared for it. The proposition of plain packaging legislature for tobacco products was discussed in parliamentary briefings of the health committee on Trade and Industry ministry met a delegation of members of parliament from New Zealand for information sharing in March this year, and in April 2015 when the Tobacco Institute of South Africa (TISA) and Chevron South Africa met to discuss transformation in the domestic tobacco industry. For Elize Joubert, Cancer Association of South Africa chief executive officer, plain packaging is a good thing. “We’re pleased that the South African government has already worked on a Draft Bill to this effect. Tobacco still remains one of the biggest killers in the world, albeit in the form of cancer or other tobacco-related diseases,” she said in a statement last month. “So as part of World No Tobacco Day on 31 May, we welcome the stand that the country is taking against tobacco use with plain packaging,” Joubert added. Meanwhile, the Tobacco Institute of Southern Africa (TISA), which represents the majority of the legal tobacco industry in South Africa, has spoken out against plain tobacco packaging, offering a number of the global industry’s arguments of recent years. TISA head Francois van der Merwe said based on the NKC Independent Economists tobacco evaluation study in 2012, the tobacco industry contributes US$1.0 billion dollars to the budget each year and provides 180,000 people with jobs in a country which is struggling with low economic growth and high levels of unemployment. “Our primary concern about the introduction of plain packaging is the potential negative impact on economic growth and jobs,” Van der Merwe told Intellectual Property Watch. He acknowledged the health risks associated with the use of tobacco products but believes in “sensible” regulation and better education about tobacco use. The tobacco industry representative said property and intellectual property rights are entrenched in the South African constitution. “Our belief is that standardised packaging would undermine these fundamental rights and set a worrying precedent,” he said. He said South Africa’s current loss from illicit tobacco sales estimated US$260 million in potential revenue annually, accounting for 25 per cent of the illicit tobacco markets – one of the largest in the world – would rise. “Standardised packaging will make it easier for organised crime syndicates to circumvent the law and in fact, because the packs are stripped of all identifiable markers, we believe they will be easier to copy,” he said adding, this not only exacerbates the problem of organised crime, but also introduces a potentially dangerous increase in counterfeiting. And van der Merwe argued that an increase in the illicit market will further undermine the government’s public health objective by making cigarettes cheaper and more accessible for young people. Louis Harms, South Africa’s former leading intellectual property judge, wrote in past the branding rules will begin with tobacco products but there is a real likelihood that it will spread to other products. “I do believe that trade-marks, as property, are entitled to protection that they are valuable and socially and commercially important, but that no rights are absolute,” Harms said. Owen Dean, former professor of intellectual property law, Stellenbosch University, Stellenbosch, once described the attacks on the use of brands on the packaging of tobacco products, through legislation that bans pictorial trademarks as ‘brand genocide’. On 24 March, the Kenyan High Court rejected a challenge of the government’s new tobacco control measures by tobacco industry giant British American Tobacco (BAT) Kenya Limited. The company had challenged the 2007 tobacco law saying the process for creating the law’s regulations was unconstitutional because it had not been adequately consulted. The new regulations now come into force within six months. Samuel Ochieng, head of Kenya’s Consumer Information Network (KCIN), said the Kenya Tobacco Control Regulations 2014 introduced coloured pictorial graphic health warnings on packets as a mandatory requirement for products marketed in Kenya, either imported or locally manufactured. “As it is now, the regulations do not outlaw branding and other company information on the packets and as such, changes in the regulations may be needed to permit plain packaging,” Ochieng told Intellectual Property Watch. He said the discussion in Kenya so far amongst tobacco control advocates and other stakeholders has been around a graphic or pictorial health warning. Plain packaging is yet to be discussed. Ochieng said, however, plain packaging of tobacco products helps keep away the marketing gimmicks that the tobacco industry uses through branding including the colours, words and presentation. “The hassles between the government and the tobacco industry on matters of contravention of the ban on Tobacco Advertising Promotion and Sponsorship (TAPS) would have been slightly reduced,” he said. Ochieng said the recent case in which the British American Tobacco Kenya Limited took the ministry of health to court over its demand that BAT Kenya stop the use of words such as “crush the capsule”, “switch the experience” targeted at the youth would not have happened with plain packaging rules in place. According to Prof. Caroline Ncube, head of the Department of Commercial Law at the University of Cape Town, the issue of intellectual property and health when it comes to plain tobacco packaging is heavily contested. “The answer you get depends on who you speak to,” said Ncube. “In my view, you are balancing the right to health against the right to IP,” she told Intellectual Property Watch. Ncube said one must note that IP is not expressly protected by the South African constitution – it is subsumed into the general property clause (section 25) – whilst on the other hand the right to health is expressly protected. “So in my view health wins,” she said. Over a span of five years, four countries that have adopted plain packaging – Australia, France, Ireland and the United Kingdom – drafted regulations in line with the WHO call. Earlier this month, the European Court of Justice ruled in favour of plain packaging. 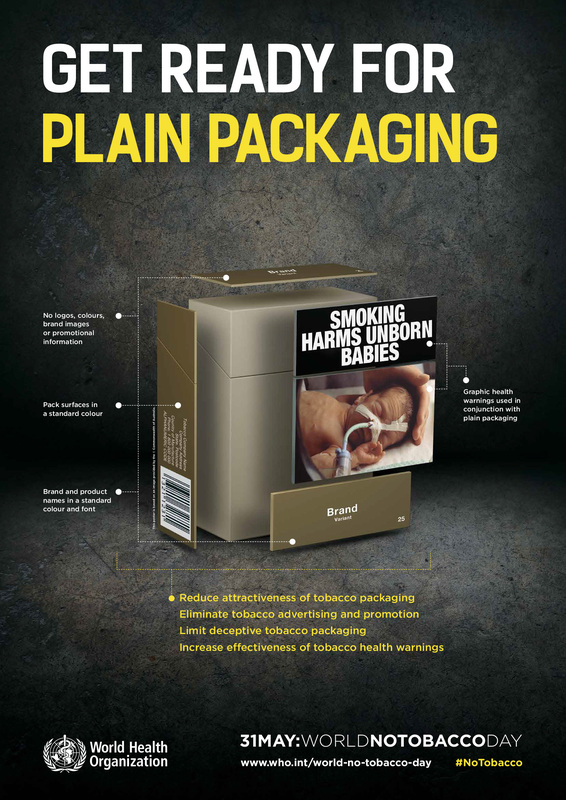 The Australian plain packaging bill was implemented as a public health measure that became law in 2012. New Zealand and Ireland followed with similar laws. The law has led to disputes filed at the WTO. Complaints against Australia were first raised in the June 2011 meetings of the WTO bodies dealing with intellectual property and standards, including on packaging and labelling — the Council for Trade-Related Aspects of Intellectual Property Rights (TRIPS) and the Technical Barriers to Trade (TBT) Committee. Ukraine launched a legal challenge against Australia, when its bill became law, through the WTO Dispute Settlement Body (DSB) in March 2012. Honduras and Dominican Republic filed complaints the same year. Cuba and Indonesia registered grievances in 2013. The combined five cases were heard by the WTO in 2014. Dominating claims in these disputes were complaints that the Australian law’s labelling and packaging requirements violate WTO rules by limiting or prohibiting the use of trademarks, geographical indications or both on tobacco products, and by requiring these products only to be sold in standardised packaging. The Australian government has defended its plain packaging rules as implemented to protecting public health. Official estimates say smoking alone kills 15,000 Australians each year and costs AU$31 billion (about US$22 billion) in social and economic costs. Five African countries, Malawi, Nigeria, Zambia, South Africa and Zimbabwe, are among the 35 countries that have reserved the right to sue despite not having been originally active parties to the complaints raised by other countries – under third party rights. The disputes have, however, not dampened the global push for plain packaging as it is believed to be effective against the use of tobacco. [Update:] More information about the anti-smoking campaign is available here. Munyaradzi Makoni may be reached at info@ip-watch.ch. "Amid Global Push For Tobacco Plain Packaging, IP And Health Rights Bog Down Africa" by Intellectual Property Watch is licensed under a Creative Commons Attribution-NonCommercial-ShareAlike 4.0 International License.